Réelle beauté sublime , un vrai compte de fée !!!! What a beautiful picture, I wouldnt mind being there keeping nice and cozy inside beside the fire. Incredible play of light and shadows. It is a place i dream in my life. Hoping can go there sometime in the future. Stunning and so impressive composition. V! Amazing image such as a painting! Dimitri...first I tought U are Dimitri Belikov on Vampire Academy Novel..but different person hahaha. Your photo's make me immagine the novel on a real one...great thanks.I love Siberia ! MAkes a deep sensation in me. I was thinking about Siberian winter as the world waited for the dawn of a new millenium. wish I was there to celebrate the New Year. Beautiful pic! Absolutely gorgeous! A peaceful winter night scene. It makes me want to open the door and retreat to the warmth of the little house. The lighting is so beautiful. A world that encompasses the house like a big marshmallow... V.
you can google the name and see what I mean. Marvelous shot! I thought this kind of scene would only be seen in a Christmas card!! A magical photograph! BIG V! very strong, almost iconic image, v! It must look christmassy during winter. Thanks for sharing such a big size! It takes my breathe away. Very nice picture, a fary tale atmosphere ! We thank you for this in particular. Very special. Beautifully enchanted dwelling in the forest! What can I add to these comments that hasn't been said....nothing probably! Suffice to say it is pure magic. It makes me think that people throughout the world aren't that different after all. This scene illustrates the warmth to be found in nature. I doubt the inhabitants had much difficulty with the Y2K problems the rest of us fretted about. 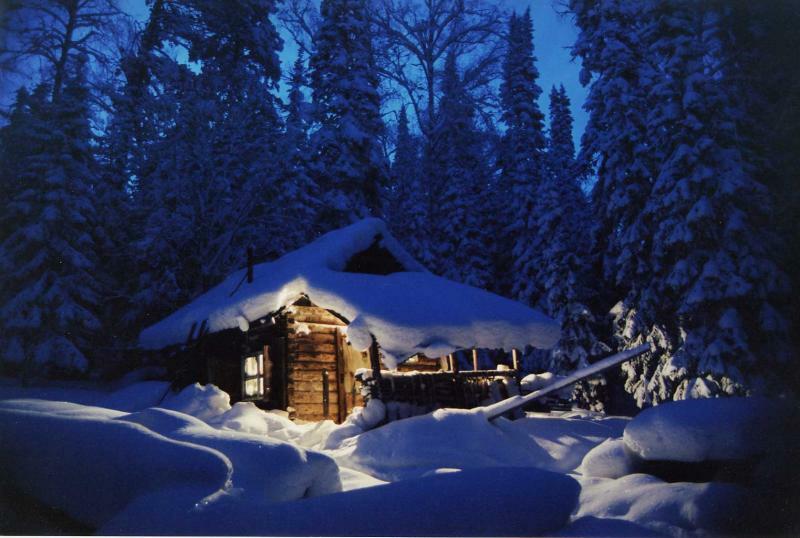 Just beautiful - real Siberian winter night!!! what a perfect christmas card! Beautiful image of a magical place. Would make a great Christmas card. Gets my vote. Great shot!! Almost a Coca-Cola advert! Amazing world. tons of ice, nice work. Gosh, this is gorgeous! I love it. This has to be one of my favorite photographs on PBase. It's such and extraordinary place and the lighting is outstanding. Very well done! Beautiful picture, like a painting! Incredible light and mood. Excellent! One of the most compellingly lit images I've seen in a long time. Spellbinding. Absolutely beautiful. An absolutely beautiful image, magical. This photo is absolutely beautiful. This is very beautiful; the stuff dreams are made of. Wonderful! Captures the mood perfectly.